My last trip to Paris was all about skipping the traditional tourist highlights (sorry, Mona) and exploring the city like a Parisian. I was focused entirely on food, wine, shopping and wandering. But every guidebook I found wasn’t exactly on the same page. 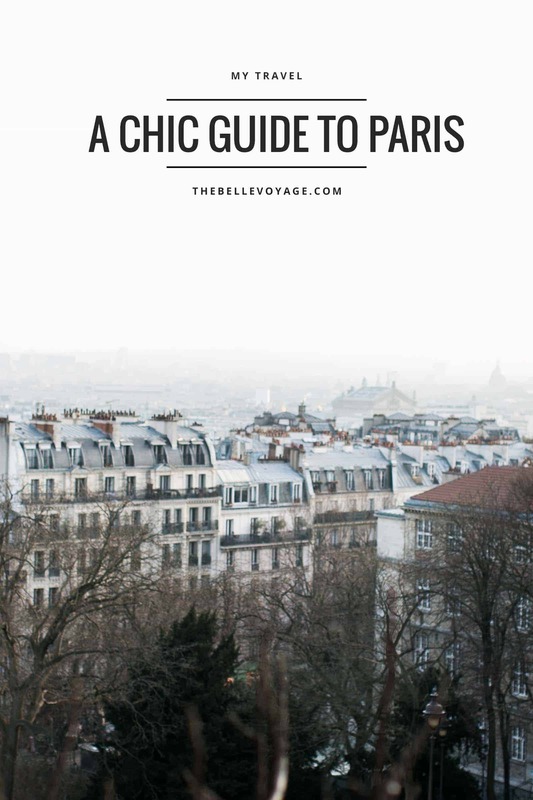 So here’s my own version of a guide to Paris that highlights my favorites from shopping to eating and drinking your way through the city! Oh and there is not a museum anywhere on this list – just warning you. 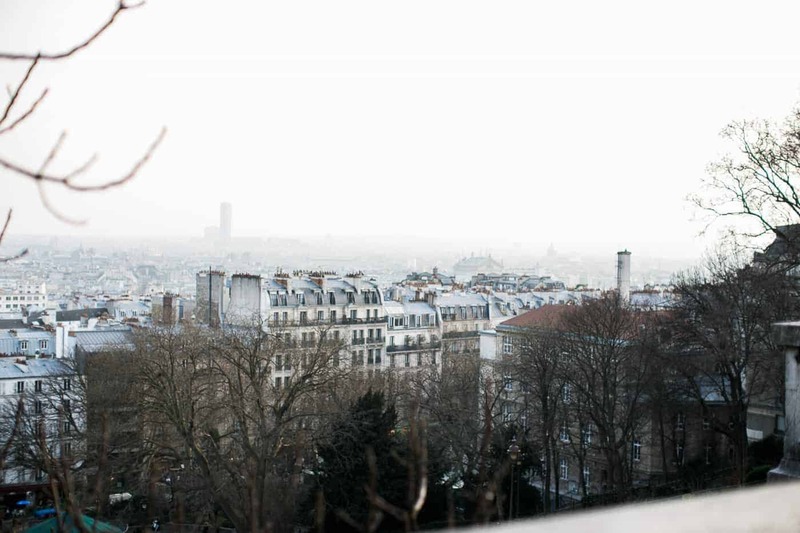 Looking for a place to stay in Paris? I’m betting that you’re overwhelmed! There are just so many choices. I absolutely love the Hotel Pont Royal. It’s well-located in St. Germain, the breakfasts are AMAZING, and my room even had a view of the Eiffel Tower! There are a few things that I LOVE to shop for when I’m in Paris. The clothes are of course beautiful, but my other favorites are candles, perfume, stationery, beauty products, kitchen accessories, gourmet foods, and kids’ clothes and toys for my nieces. All of these things seem to be that much more unique, high quality, and well-made in Parisian shops. In terms of neighborhoods, on this trip, I stuck mostly to two: Le Marais and Saint Germain. If you remember one thing from this post, it should be that if you wander the back streets of either of these neighborhoods, you can’t go wrong in term of shopping. If you’re into one-stop shopping, a few of the big meccas are Galleries Lafayette, Printemps, and Le Bon Marche. I would definitely recommend checking out at least Galleries Lafayette because the interior is just gorgeous. If you visit Le Bon Marche, don’t miss the food halls which is in a separate building from the department store. Merci – a cult favorite concept store with equally gorgeous cafes on either side. I loved the stationery and jewelry they had here. This is the perfect place to find gifts to bring back home! Colette – another cool concept store that’s fun to check out – just beware of the crowds! Fabriano Boutique – beautiful stationery and notebooks that you’d never see stateside. Granted it’s an Italian brand, so not entirely native to Paris, but I still think you’ll love it. Ekyog – beautiful clothes, sort of like the Parisian version of Anthropologie. I got this blouse and I love it. 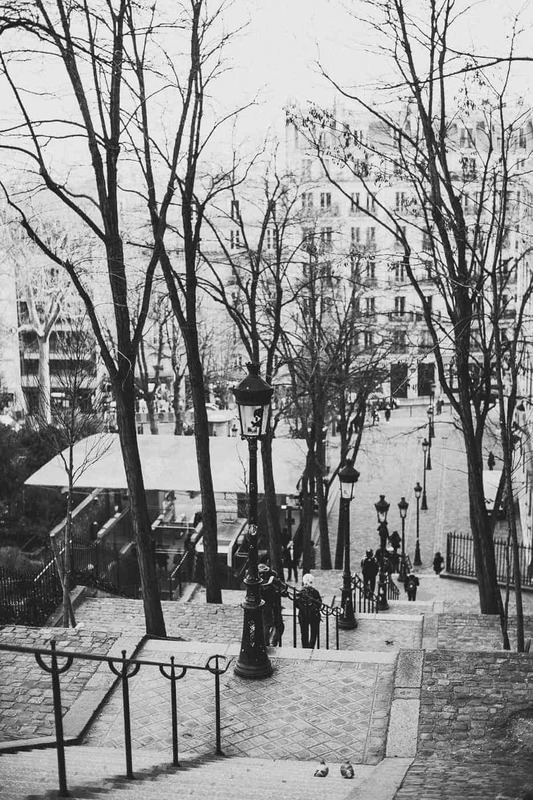 Au Gout Dujour: a relaxed neighborhood bistro just a few minutes’ walk from the Eiffel Tower. Completely delicious. Bistrot Belhara: the perfect spot for a quiet, lovely dinner with friends or a date. We had the tasting menu and it was incredible. The chef was so kind and even though he didn’t speak any English, came out to greet and thank us – I think our empty plates and big smiles needed no translation. L’Atelier de Joel Robuchon a Paris: Wow. This place was amazing. If you can, try the tasting menu. It’s ten courses but you will love every moment. For amazing steak frites in Paris, head to Le Relais de l’Entrecote – known as the best steak frites in town. It had better be, since that’s ALL the restaurant serves. It is somewhat touristy, but absolutely worth visiting. First, there’s no menu. All that you specify when you order is what you’d like to drink, and how you’d like your steak cooked. Other than that – everyone gets the same thing. I got a kick out of it! Make sure you get there before it opens at 7pm, otherwise you’ll be waiting in a long line later one. The steak is delicious, the frites are phenomenal, and the sauce for the steak is unreal. Of course, it’s a secret – but we had fun trying to decipher what might be in the recipe. I love that the Parisians take their aperitifs seriously. Each time we sat down for a meal, we’d be asked if we wanted an aperitif. Oui! Then the next question: coup de champagne? Oui again! Since I’m a big fan of sparkling wine, I love that the pre-dinner glass of champagne is a Parisian essential – even if the occasion is nothing more than a weeknight meal. Speaking of sparkling wine, if you’ve never had a Kir Royale, Paris is the place for your first one! There are so many champagne cocktails on any decent dinner menu, but my favorite by far is a Kir Royale – so don’t miss out on one! My favorite spot on this trip for a pre-dinner drink was The Dokhan’s Bar, a beautifully decorated champagne bar that serves over 70 different kinds of champagne. Yes please! I stopped at three, but they were possibly the three best champagnes I’ve ever had! Next time I’m in Paris, I will definitely be going back. Nobody does hair and makeup like the Parisians do. That’s why I absolutely loved getting my hair blown out while I was in Paris, and why it’s a fun not-so-touristy way to experience Parisian culture. Check out the post for everything to expect! A few phrases that were essential for me – none of which I found in any guidebook! Need help Packing for Paris? 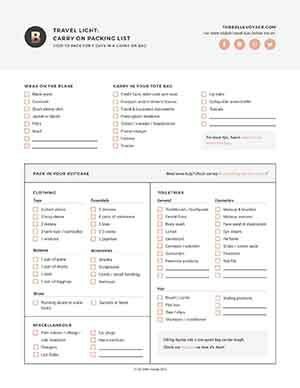 Check out my best packing tips for Europe and my best packing tips for women!